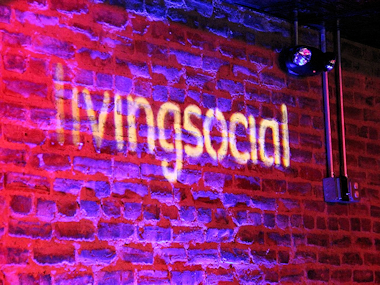 How low can LivingSocial’s prices go? In a bid to make amends for a rare 40-hour outage that crippled its website, apps and merchant center on Tuesday and Wednesday, LivingSocial is running promotions for U.S. and Canadian shoppers this weekend. On Friday, U.S. and Canadian customers can get 25 percent off local and travel deals by using the promo codes HEART25 and HEART25CA, respectively. Over the weekend, LivingSocial will drop the discount to 15 percent, through WEEKEND15 and WEEKEND15CA promo codes. Spokeswoman Sara Parker said the LivingSocial staff is working with its business customers on a case-by-case basis to figure out the best way to make things right. The outage, which affected LivingSocial sites in seven regions around the world, including the U.S., Canada and the U.K., was caused by a database crash, Parker said. An attempt to restore the database from a backup failed, she added. Parker stressed that customer sign-in and credit card info were unaffected. In an email to his employees on Wednesday night, CEO Tim O’Shaughnessy called the outage “an incredibly low point” and said nothing like it would happen again. But the outage is just the latest costly blow to the one-time rising star of the Washington, D.C., startup scene, which has this year already suffered a hack, flattening revenue and uninspired product releases.